This printed sleeveless tunic comes with a round neck . Has sleeves inside which can be attached if needed. This item in Indian Kurtis & Tunics category was first added to our catalog on 11-01-2016. Buy Designer Cut Long Rayon Cotton Kurti / Tunic, sold & shipped by Ahaarya where you can shop online for Latest Fashion Indian Dresses, Sarees, Salwar Kameez, Kurtis. 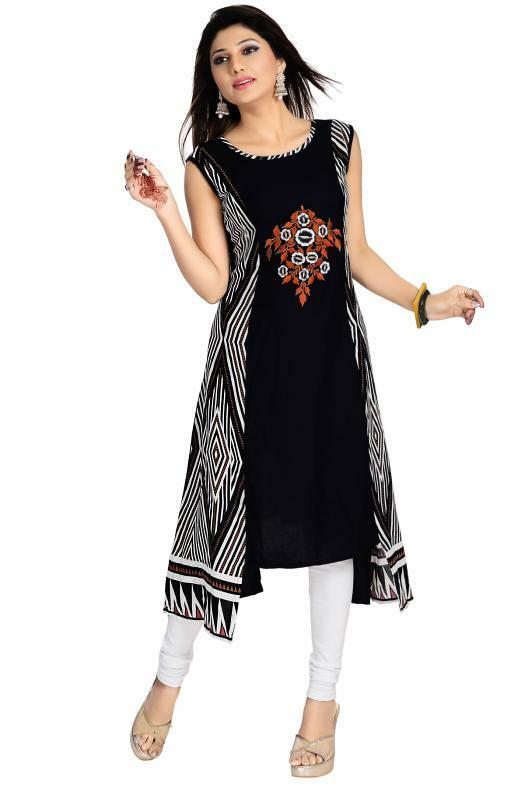 This Cotton Rayon Kurti collection has been tagged as Kurti, Ladies Tunics Top, Women Kurtha Clothes, Stylish Kurti Design, Discounted Cotton Kurti.